Passive income streams are income sources that you benefit from without too much effort — the money just flows in. If you own your home, then most financial experts would say that you already have enough exposure to real estate for a well diversified portfolio. However, real estate can be an excellent way to build wealth and is probably the most universally effective of all passive income streams. Buy Rental Property: If you have some savings, you might want to consider investing in a rental property. Investing in a commercial building or a residential property can be an excellent way to boost monthly income. The trick is in having enough money to buy the building and ensuring that the rental income pays for the mortgage as well as profit for you. List a Room in Your Own Home: House sharing is becoming more and more common. And, Airbnb has absolutely exploded in popularity. Listing a room on AirBnB in your existing home — either on a permanent or short term basis — is an ideal passive income stream because it uses an existing resource to generate money. Invest in Real Estate Funds: If you can not afford to purchase a property on your own, you have options. You can invest in a Real Estate Investment Trust (REIT). REIT’s are a type of security that you can buy and trade like a stock. Or, you can participate in crowdfunding real estate sites like RealtyShares and FundRise. Finance a Mortgage or Reverse Mortgage: Perhaps you have friends or family who need or want to get a mortgage or reverse mortgage. You can finance a private loan. However, this can be complicated and there are downsides to mixing money with family and friendships. The sharing economy is alive and well and people are making money from all kinds of assets. Think creatively about what you own and explore ways to rent those assets. You don’t want to work — working is not a “passive” income stream. However, maybe you enjoy cooking, woodshop or spending time with dogs. There are more and more ways to make money from these types of hobbies. If there is something you enjoy doing, you can probably figure out a way to get paid for it. DogVacay and Rover — Offer dog sitting in your own home or take a dog for a walk. Mealsharing and Feastly— Sell home cooking. Etsy — Sell handmade goods. Vayable — Be a tour guide for visitors to your area. Shutterstock and istockphoto — Sell your photographs. Huh? You might be curious how paying off a credit card could be a way to produce income. And, while it is true that you are not creating an income stream, you are eliminating a fixed expense which does permanently improve your cash flow — so the impact is the same as increased income. Imagine if you could spend the money you use to pay off a debt every month! All profitable investments are technically passive income — but most profits from savings are usually reinvested — growing your principle. Peer to peer lending — LendingClub is an example of a peer to peer lending platform. With LendingClub you can provide loans to people seeking money for a business. While this can be highly risky, the platform enables you to invest in hundreds of different businesses all at once — offering you the potential for high returns while trying to minimize risk. Annuities — Annuities are a way to lock in passive income. 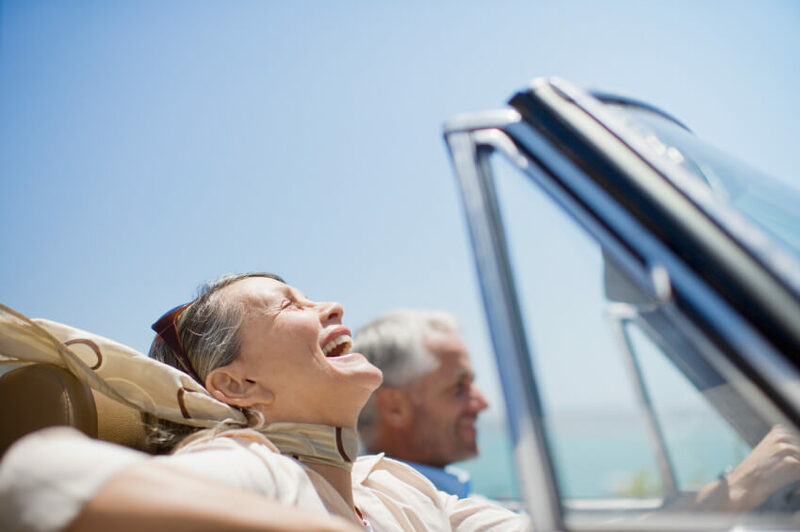 When you buy a lifetime annuity, you are exchanging a lump sum of money for a guaranteed income stream for the rest of your life — no matter how long that turns out to be. You can also opt to protect your spouse or other dependents with the income and you can even guarantee that the income will grow with inflation. Use an annuity calculator to estimate how much annuity income you could earn. Or, take a quick annuity quiz to find out if an annuity is right for you. High Dividend Stocks — Some stocks pay dividends. This money is considered a passive income stream — especially if you are not putting the money back into the company. Invest in a Small Business — Look around your town and think about the people you know, do you see a small business that is doing well — might they benefit from some kind of expansion? In exchange for your investment, the business could give you an equity position. The business owner manages the day to day operations while you act as a silent (passive) partner. This can be rewarding, but very risky. How Does Passive Income Impact Your Retirement Plan? Money you rely on for retirement should not be invested with too much risk. And, you want retirement income to be predictable. When factoring passive income into your retirement planning, be sure to think about when the income stream might start and stop and only count it if you are relatively sure that it will come to pass. The NewRetirement retirement calculator lets you document multiple income streams with different start and stop times — making planning with passive income more realistic.